Our society has always valued that struggle, believing that the only way to be the best you can be is to work on the areas you find most challenging. But what if we have it wrong? What if the way to bliss and lasting success wasn't about the stuff you were bad at? What if, instead, you could get there by doing the things you loved the most? You'd certainly be more productive. And when you're productive, you have a better chance of seeing a bigger reward for your efforts. You'd also be more optimistic, because who doesn't get excited about doing things they love to do? In fact, when you imagine spending your days feeling brilliant and skilled at everything you do, it's not a far leap to suggest that the benefits could be life-changing. Clearly, this concept has merit. So, here's how to do it. 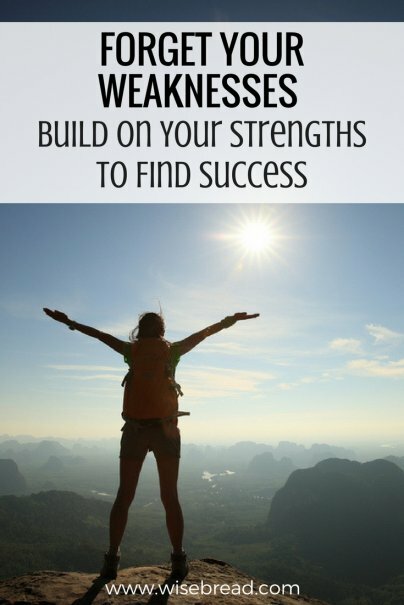 When we talk about strengths, we typically start looking at the areas in which we excel. But being good at something isn't the only qualifier you should be focused on. In fact, if you take a MAPP Career test, you'll find that it's built around something called "motivated talents," that is, things that you're good at and that you actually enjoy doing. I'm very good at writing resumes, for example, and I know plenty of writers who make their living doing nothing else. In a pinch, I don't mind doing a few to generate some extra cash, but it's definitely not something that makes me get out of bed in the morning. Could I build a business around this talent? Sure, but I'd be bored to tears and, eventually, the business would fail. The key then is to look for those things you do well… and then decide if you love doing them. I've written before about the importance of stepping out of your comfort zone, and if you want to take advantage of all your strengths, there's simply no better way. After all, just because you're not the best at something now doesn't mean you couldn't be down the road. And in the process of trying new things and testing your limits, you may even discover some new talents you didn't know you had. Follow your bliss, and you'll find a world full of opportunities — opportunities that allow you to grow and evolve on both a personal and professional level. I may not be ready to take my guitar on the road, but as long as I enjoy practicing, my playing will continue to improve. And if it doesn't? Well, at least I'm having a good time and that's so much better than devoting my efforts on things I don't really like. So, what about all those things that don't make the cut? What's more, you're probably not very happy while you're doing it. So find a better way to spend your time. Delegate what you can, and then minimize the time you have to spend on the rest. I might still write a few resumes from time to time, just as I still have to do some organizing and filing, despite my natural aversion to both. But I limit the time I spend on these tasks as much as possible, so that I can focus on the things I do enjoy, and the result is that I'm both happier and more productive. And in the end, isn't that the real definition of success? Are you fortunate enough to have found a career or avocation that that engages both your bliss and your unique talents? How did you get there? Yes yes yes! Completely agree! I left my corporate job almost 2 years ago to start my own content development company. Every day, I build content in many forms for my own projects and for others. It's an incredibly satisfying way to live. I could have stayed at my corporate job - I was good at it and had built a lot o good will there. I was also bored, frustrated, and generally lacked any love for the work. Taking the risk and plunging into my venture was difficult, and it's still a challenge every day, but I feel more alive than ever.